Ains Ooal Gown makes a menacing look for the satisfying conclusion of the season. 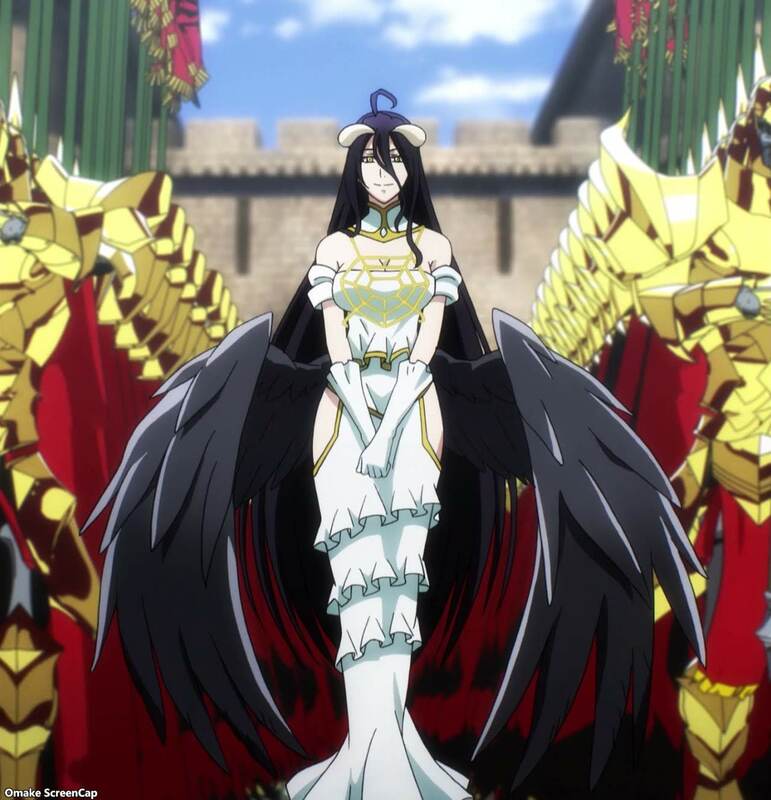 Albedo lead the Sorcerer King's procession into the conquered city, but there was still a bit of a performance to install the "protector" of the people, Momon. The Pleiades Battle Maids were happy to have an audience with their Master Ains in his local throne room of E-Rantel.